Earth Day—a yearly event in which educators can take the opportunity to teach their students about our environment and how to preserve our planet—is being recognized on April 22. Use the following collections of resources, lessons and references to make the most out of the Earth Day phenomenon that is celebrated in 180+ countries around the world! 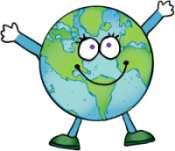 » Education World: Check out a variety of lesson plans, projects, activities and a web quest for celebrating Earth Day. » Scholastic Teachers: Promote environmental awareness with teaching ideas, lesson plans, and student activities. » Edutopia: There’s a bit of everything here—lesson plans, tools, resources, student reading lists and other ideas for incorporating Earth Day into the curriculum. » NEA (National Education Association): Explore new and review familiar ways to live responsibly with lessons, projects, activities, and games. » Teacher Vision: Review a variety of cross-curricular Earth Day resources to enhance the K-12 curriculum. Info about global warming, recycling, and pollution will help teachers explore this important topic. » HotChalk: Contains all kinds of lesson plans designed to inspire awareness and appreciation for the Earth’s environment. » Earth Day Teaching Resources: A Pinterest board filled with all sort of ideas and activities for teaching and learning about Earth Day.